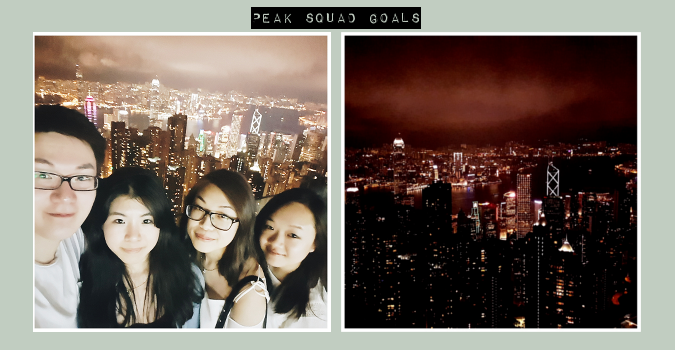 The first post of a 3-part series, noting fun ways to spend a week in Hong Kong this summer. Hong Kong is an explorer’s dream. Rooted just-enough with Chinese culture and old school, offbeat charm, it’s also a truly diverse country with the city, mountains, beach and more to discover and play in. It’s easy to assume that Hong Kong is about the city and those infamous skyscrapers that formulate the equally concrete jungle, but step just a couple of blocks out and there’s plenty more. Good morning! What better way to kickstart an explorative week in Hong Kong than with the atypical Big Buddha? It’s almost a given that you’ll pay the infamous Buddha and its surrounding monasteries a visit. Head to Tung Chung (end of the Tung Chung MTR line) and head for exit B to get to the Cable Car Terminus. There’s a choice of the 360° cable car or the standard, or a package deal to include a visit to Tai O. I did them separately but it makes sense to get it all in one. Once you’re at the top, hike up the stairs to see an incredible up close view of the Big Buddha and also to see hundreds of people as small as ants all around the island. I particularly like the walk over through the Wishing Lane that takes you through to the wooden pillars decorated with ancient runes. There are plenty of vegetarian and non-vegetarian places to eat at the top too. 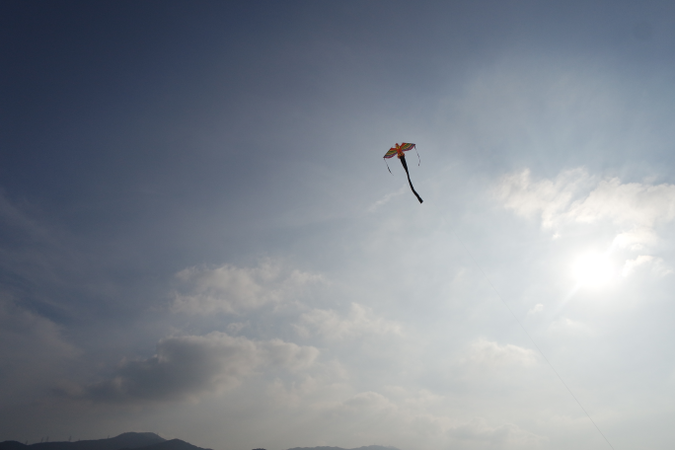 If you’ve bought a package ticket, make sure you head to Tai O in the afternoon. 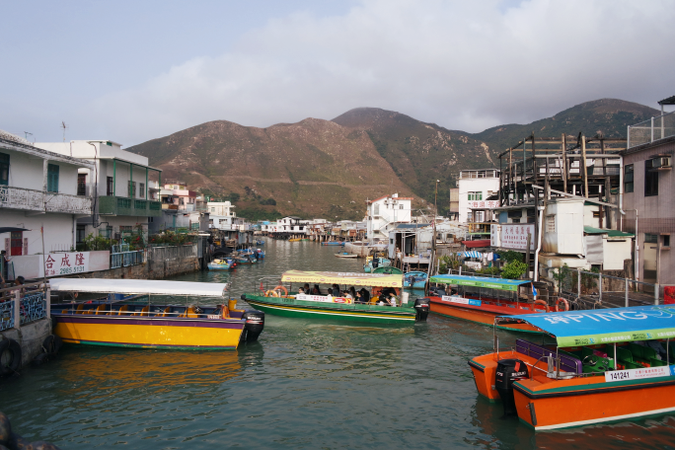 If not, you can get to Tai O by taking the bus from Tung Chung. 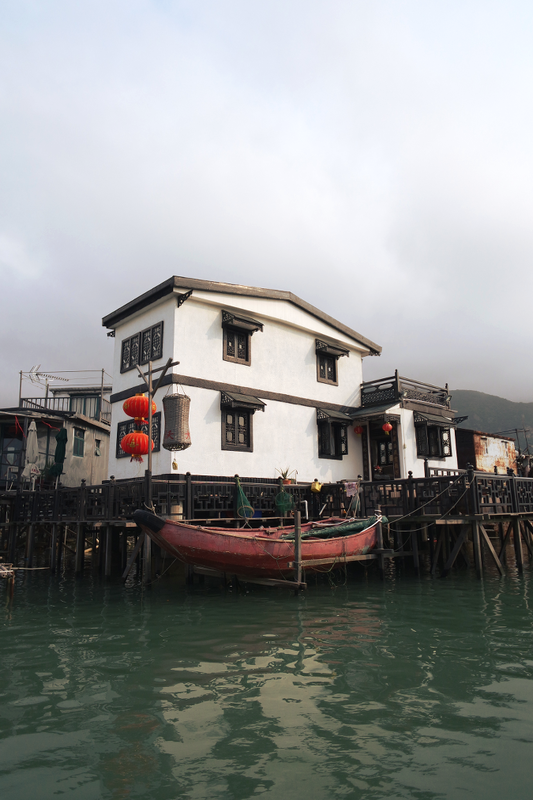 Tai O is one of the last remaining traditional villages in Hong Kong where you can view the age-old stilt houses. Primarily a fishing village, you are not coming here to shop. 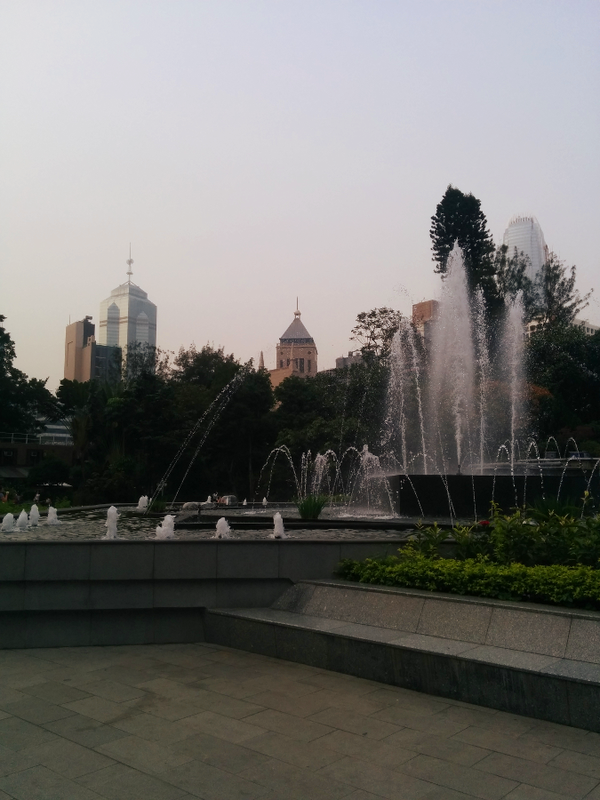 The air is somewhat cleaner though and it’s quite cool and refreshing to bop around a more authentic Hong Kong. There are plenty of people who’ll push you to take a boat trip, all at affordable prices. I would definitely recommend taking one, as it’ll take you around the area and out to see the infamous Chinese pink dolphins! They’re out in the wild, FYI, so of course it isn’t guaranteed that you’ll see one but worth the trip regardless. Rest up! 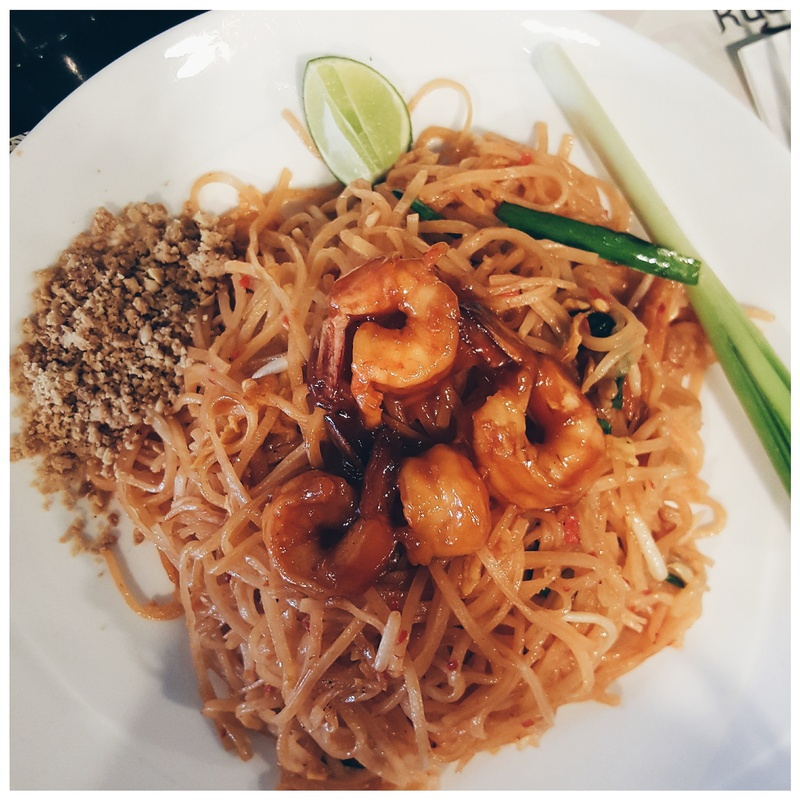 Whether at the outlet mall in Tung Chung or towards your residence for the week, Monday night is all about resting up and/or getting involved in street food and tong sui! It wouldn’t be an explorer’s week without a hike, eh? 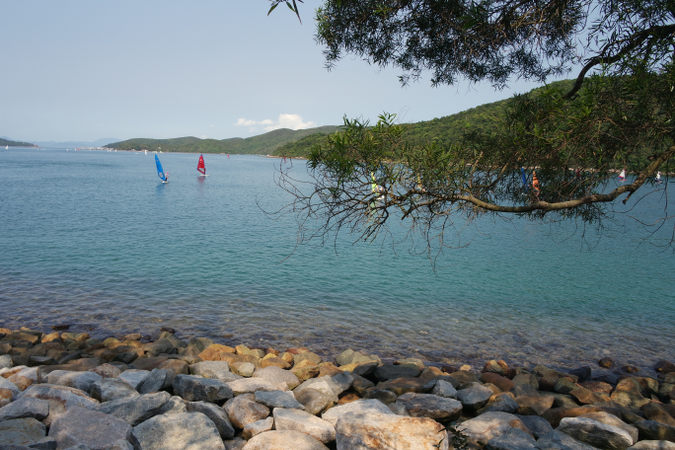 Sai Kung is home to some of the most breathtaking hike trails and there’s something for everyone. There are family trails as well, if you’re a novice! Hop over here to learn more about exact trails. To get there, simply hop on a minibus from Choi Hung MTR station. It’s all well signposted so you won’t be lost! 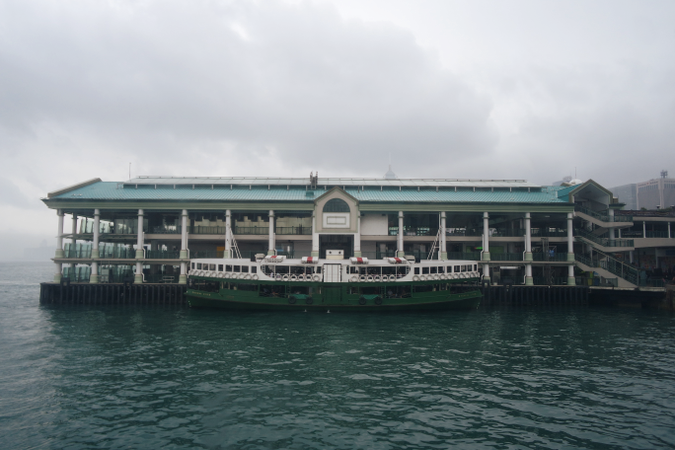 Don’t forget to catch a bus over to Sai Kung Pier for an iconic view, dog cuddles and seafood lunch as well! SK is famous for the bountiful number of pups as the area is a little more spacious. However if you’re not fussed about sampling seafood, I adore the tapas at Casa in Sai Kung. You need to try their calamari and Korean seafood pancake! If you’re not planning to stay in Sai Kung, then Kowloon Tong is just a minibus and MTR ride away. Festival Walk is your end destination, a higher end shopping centre with an awesome food area and indoor ice-skating arena. Nothing like an ice-skate to end a hike day, eh? Mid-week and you’re probably wanting a hearty start to the day, right? 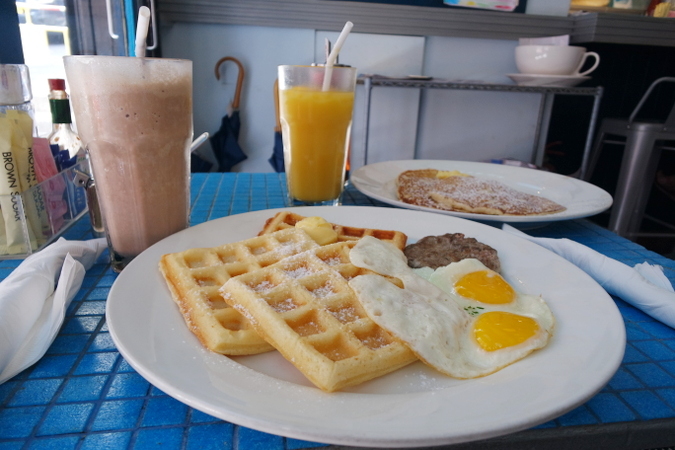 Head to The Flying Pan in Central for an all-day breakfast. It’s touted the best in Hong Kong and will be ideal for jet lag because it’s a 24-hour joint. You can read my review here. Now that you’re on the island, you might as well indulge. The The Peak to Aberdeen Hike hiking trail is popular with novice and experienced hikers alike and results in a beautiful mountain-top view of much of Hong Kong Island and the South Horizons. Hike, and then grab a taxi over to Repulse Bay Beach in the late afternoon for blissful sun-soaking time in beautiful surroundings. Repulse Bay is popular for it’s truly gorgeous beach plus there’s an ancient temple and wishing well right at the edge for good measure. In the evening, catch the 73 bus from Aberdeen over to Stanley and check out the market. Whilst it is largely saturated by tourists nowadays, it’s a delightful little fisherman village with plenty to see and do, plus a fair few portside bars and pubs. One of the best things about Hong Kong is the wealth of islands at your disposal. It’s definitely worth putting a day aside to explore one of them! Lamma Island is a mini tropical paradise just a stone’s throw away. Hop on a ferry from Central Pier and less than an hour later, you’ll have serene Lamma Island at your disposal. Something a little different but I honestly think this is a worthy afternoon trip if you’re all hiked out. 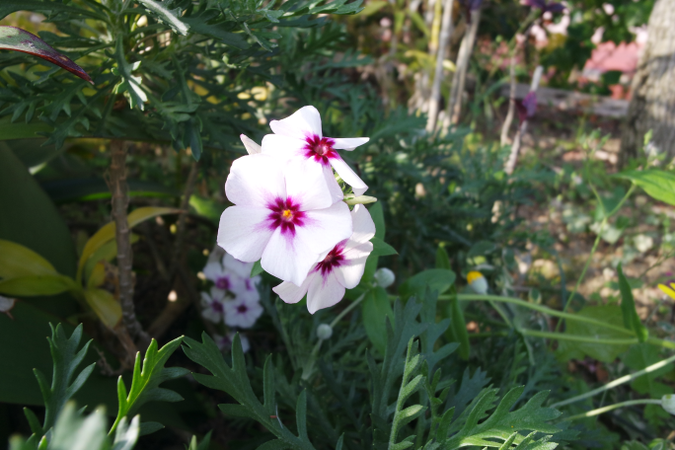 Just across from the Peak Terminus and all a little way up, there’s the Hong Kong Botanical and Zoological Gardens, a complete free garden full of beautiful plants and animals. Whilst there is a little controversy around the fact that the animals are in enclosures, it makes for a fun, free few hours out. The monkeys are adorable; the giant tortoise WAY too cute and there’s plenty of exotic birds to see too. Plus the views of the city are great. After monkeying around, the obvious choice is to hit The Peak. There are plenty of food options at the top, including the infamous Tsui Wah cha chan teng. Grab a bite to eat and then swipe your Octopus once more to get to the 360° viewing terrace for the highest viewpoint that Hong Kong has to offer. The cityscape view gets more breathtaking each time. The travel here will cost you around $34 including the viewing terrace fee of $70 but it’s so worth it. Happy weekend! You made it! You deserve a leisurely brunch to energy up after a week of exploring beautiful Hong Kong. Might I recommend Aberdeen Street Social at PMQ on Aberdeen Street? Amazing classic and fusion brunch options with delectable coffee and even better cocktails. To round off the weekend, you might as well squeeze in another island hop, eh? 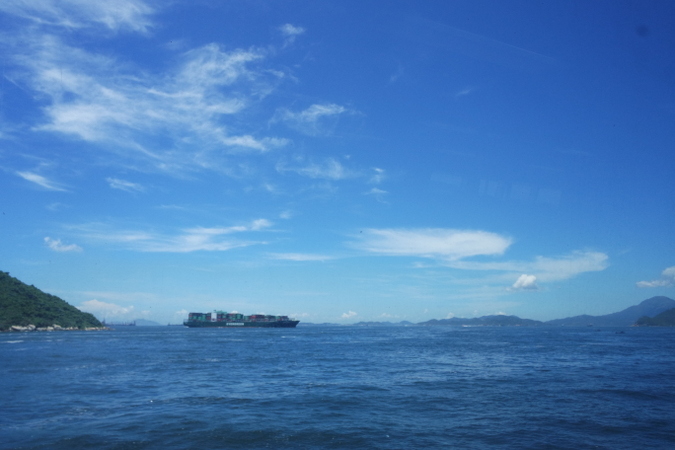 Cheung Chau is technically do-able in one day. Catch a ferry from Central Pier and explore the delights of this quaint old-timey island. You can rent tandem bikes and cycle along the waterfront, meander around the old village and eat local food. Nothing beats a little climb on the rocks for a really good Instagram either!